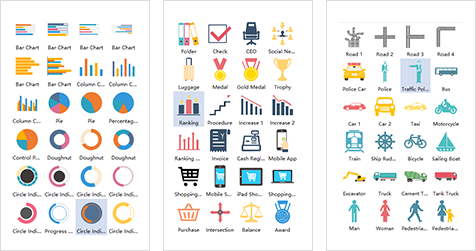 With an one-off payment, you can use all 10000+ infographic icons and hundreds of premium templates. No additional money is required. 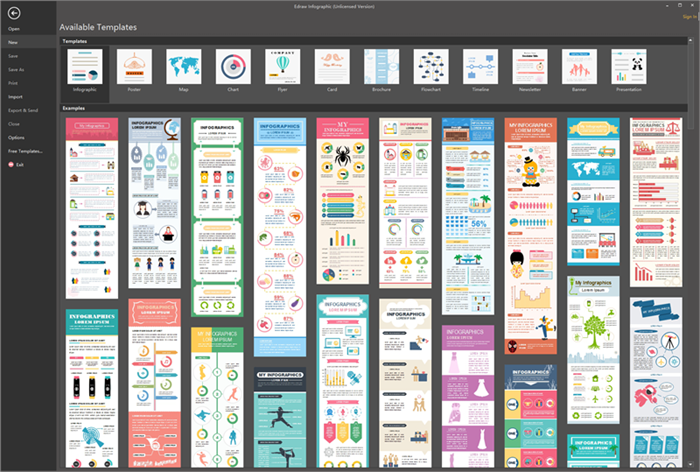 As an offline infographic software, you can use it regardless of internet connection. Therefore, it's far more fast stable, and powerful. 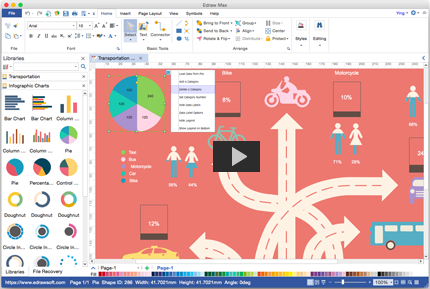 You can easily get access to many libraries of infographics elements like business, charts, education, people, and so on. Supporting drag-and-drop use, these symbols are huge time savers. 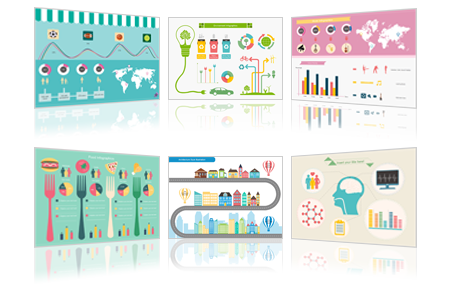 They are highly artistic works from professional designers with coordinated color and creative style. And the most important thing is - all elements are editable in every detail. 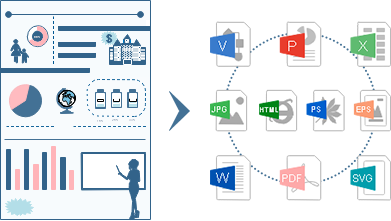 Our infographic software allows you to share amd publish infographics to many commonly used file formats, such as .png, .jpg, .html, .svg, .pdf, .word, .ppt, etc. And the final result is flawless. 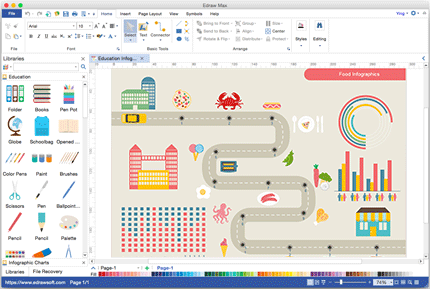 You can even edit in PPT and word. The inserted pictures can be modified with brightness, contrast and transparency. 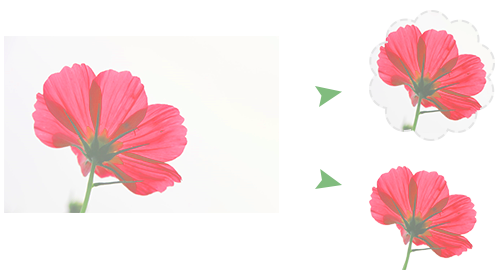 Also, with the crop tools, you can trim a picture to any shape, even remove a picture's background.